The American Geriatrics Society (AGS) voiced deep concern for proposed cuts to geriatrics health professions programs (which would be eliminated), healthcare research, Medicaid, and a range of services benefitting us all as we age–all cuts outlined by President Trump in his full budget proposal for Fiscal Year (FY) 2018, which begins on October 1, 2017. Geriatrics Workforce Enhancement Program (GWEP): “The AGS is particularly concerned that the full budget proposal eliminates the GWEP under Titles VII and VIII,” said Nancy E. Lundebjerg, MPA, Chief Executive Officer of the AGS, in the news release. “This is the only federal program focused on improving the quality, safety, and affordability of our care by increasing the number of professionals with the skills needed to care for us as we age.” The AGS is also concerned that the budget proposal eliminates other training programs that educate the doctors, nurses, physician assistants, pharmacists, social workers, and many other health professionals who are essential to the care of older Americans. In total, the budget eliminates $403 million for these training programs. National Institute on Aging (NIA): The budget reduces funding for the NIA by $294 million and reduces overall funding for the National Institutes of Health (NIH) by $5.7 billion. The AGS is deeply concerned about cuts to scientific research, given that such research has led to critical advances improving the health and quality of life of older Americans. Medicaid: The budget proposal assumes enactment of the current iteration of the American Health Care Act (AHCA): House-passed legislation to repeal and replace the Affordable Care Act (ACA) that would drastically cut Medicaid by more than $800 billion[i] over ten years. The budget poses somewhat different estimates of savings from Medicaid cuts than those outlined by the Congressional Budget Office (CBO) before the House passed the amended AHCA. However, the budget estimates an additional $610 billion in cuts to Medicaid spending over ten years. 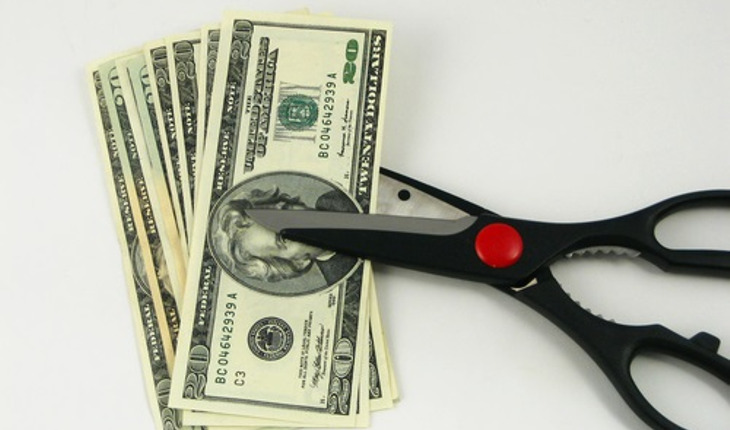 Office of Management and Budget (OMB) Director Mick Mulvaney suggested today that this sweeping reduction is in addition to the cuts contemplated in the AHCA. Regardless, there is no doubt that key services for older adults will be impacted in light of the size of the proposed cuts. This will impact access to long-term services and supports, nursing home care, and home health care for millions of caregivers and older adults–including ten million people with Medicare–who rely on these funds as they age. The budget does sustain support for many programs under the Older American Act (OAA) and administered through the Administration for Community Living (ACL). [ii] Level-funding for Home and Community-based Supportive Services, for example, would continue to support multi-purpose senior centers and a broad array of services for aging in place. The budget also sustains several other key programs, including some targeting nutrition services, family caregivers, those living with Alzheimer’s disease, and those working to prevent elder abuse and neglect. While we were pleased to see continued support for programs serving older adults, we are disappointed to see major cuts to a number of programs that serve Americans with disabilities. Though these serious concerns pose significant barriers to AGS supporting the proposed budget, the AGS was pleased to see recognition for the importance of the Veterans Health Administration (VHA) in the latest budget proposal. As presently written, the budget requests $78.9 billion in discretionary funding for the VHA–a $4.4 billion increase from 2017, which would sustain the Veterans Choice Program and provide discretionary funding to improve care access and efficiency for more than nine million American veterans. [i] With the exception of the VHA numbers, increases/decreases in the President’s FY 2018 budget refer to numbers in the FY 2017 annualized Continuing Resolution (CR) rather than the final omnibus bill, in which some programs received more funding than in the CR, (e.g. NIH).